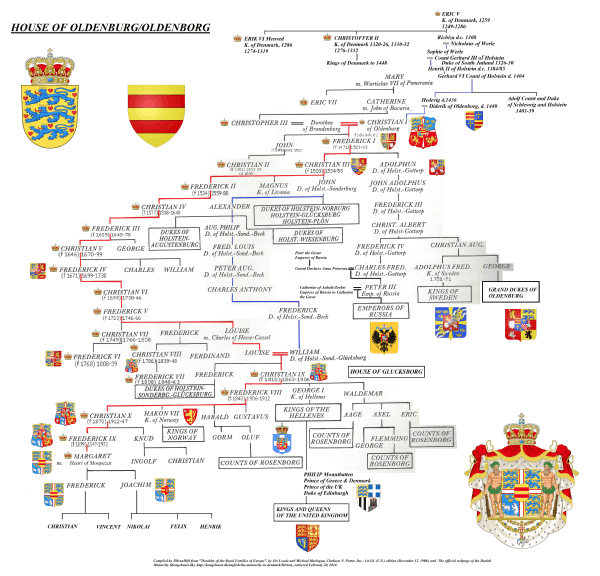 This article is about the ducal house that currently rules Denmark and Norway. For the elder line, see Schleswig-Holstein-Sonderburg-Glücksburg (elder line). The House of Glücksburg (Danish: Huset Glücksborg; German: Haus Glücksburg; Greek: Οίκος του Γκλύξμπουργκ, Íkos tou Glíksbourg) (shortened version of the House of Schleswig-Holstein-Sonderburg-Glücksburg; Danish: Slesvig-Holsten-Sønderborg-Lyksborg, also spelled -Glücksborg) is a Dano-German ducal family and a branch of the House of Oldenburg, members of which have at various times reigned in Denmark, Norway and Greece. 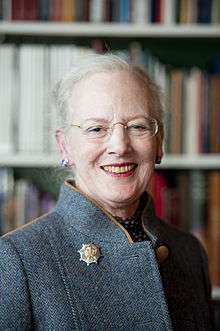 Margrethe II of Denmark, Harald V of Norway, Constantine II of Greece and Charles, Prince of Wales are patrilineal members of cadet branches of the Glücksburg dynasty. The family takes its ducal name from Glücksburg, a small coastal town in Schleswig, on the southern, German side of the fjord of Flensburg that divides Germany from Denmark. In 1460 Glücksburg came, as part of the conjoined Dano-German duchies of Schleswig and Holstein, to Count Christian VII of Oldenburg whom, in 1448, the Danes had elected their king as Christian I, the Norwegians likewise taking him as their hereditary king in 1450. In 1564 Christian I's great-grandson, King Frederick II, in re-distributing Schleswig and Holstein's fiefs, retained some lands for his own senior royal line while allocating to his brother Duke John the Younger (1545-1622) Glücksburg, along with Sonderburg. 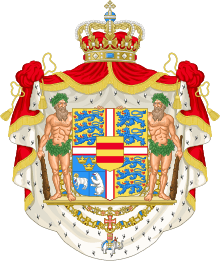 John's heirs further sub-divided their share creating, among other branches, a line of Schleswig-Holstein-Sonderburg dukes at Beck (an estate near Minden bought by the family in 1605), who remained vassals of Denmark's kings. By 1825 the castle of Glücksburg had returned to the Danish crown (from another ducal branch called Glücksburg, extinct in 1779), and was given that year by King Frederick VI, along with a new ducal title, to his kinsman Fredrick of Beck. Frederick suffixed it to the ducal title he already bore, in lieu of "Beck", an estate the family had, in fact, sold in 1745. 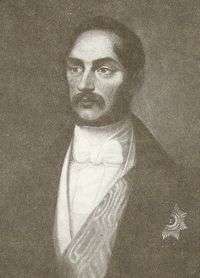 Thus emerged the extant Dukes of Schleswigh-Holstein-Sonderburg-Glücksburg. As the royal Danish line of Oldenburgs died out in 1863 and the senior lines of the Schleswig-Holstein family became extinct with the death of the last male of the Augustenburg branch in 1931, the House of Glücksburg became the senior surviving line of the House of Oldenburg, the most junior branch of which ruled the Grand Duchy of Oldenburg until 1918, and survives. Neither the Dukes of Beck nor of Glücksburg were sovereign rulers; they held their lands in fief to the sovereign Dukes of Schleswig and Holstein, i.e. the Kings of Denmark and, before 1773, the Dukes of Holstein-Gottorp. Prince Christian of Schleswig-Holstein-Sonderburg-Glücksburg, the fourth son of Fredrick, Duke of Schleswig-Holstein-Sonderburg-Glücksburg, was recognized in the London Protocol of 1852 as successor to the childless King Frederick VII of Denmark, as Christian was married to Frederick's first cousin, Luise of Hesse-Kassel. 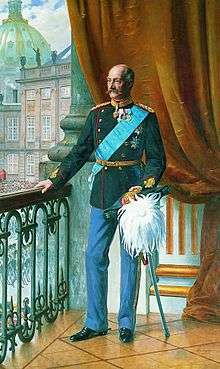 He became King of Denmark as Christian IX on 15 November 1863. 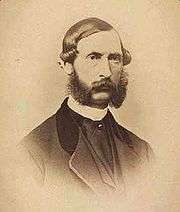 Wilhelm, the second son of Crown Prince Christian and Crown Princess Luise, was elected King of the Hellenes on 30 March 1863 to succeed the deposed Wittelsbach Otto of Greece and took the name George I of Greece. 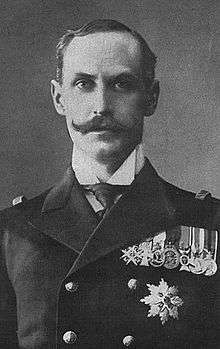 Prince Carl, the second son of Frederick VIII of Denmark, Christian IX's eldest son, became King of Norway on 18 November 1905 as Haakon VII of Norway. Christian IX's daughters, Alexandra of Denmark and Dagmar of Denmark (as Maria Feodorovna) became the consorts of, respectively, Edward VII of the United Kingdom and Alexander III of Russia. 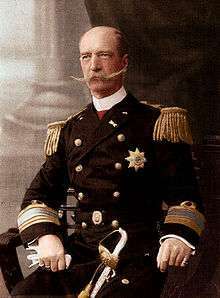 As a result, by 1914, descendants of King Christian IX held the crowns of several European realms; Christian IX became known as the Father-in-law of Europe. 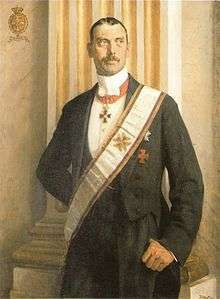 Christian IX's older brother inherited formal headship of the family as Karl, Duke of Schleswig-Holstein-Sonderburg-Glücksburg. It is his descendants who now represent the senior line of both the Schleswig-Holstein branch and of the entire House of Oldenburg. For the elder line of dukes, see Schleswig-Holstein-Sonderburg-Glücksburg (elder line). 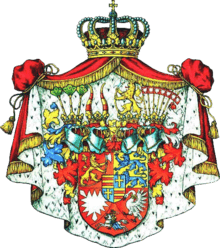 The Dukes of Schleswig-Holstein-Sonderburg-Glücksburg constitute the senior male line of the family, hold headship by primogeniture of both the House of Glücksburg and the entire House of Oldenburg. The heir apparent is Friedrich Ferdinand, Hereditary Prince of Schleswig-Holstein (b. 1985). 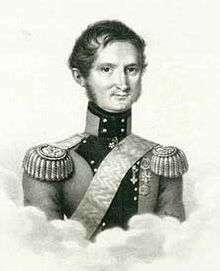 In 1853, Prince Christian of Schleswig-Holstein-Sonderburg-Glücksburg became heir to the Kingdom of Denmark, and in 1863, he ascended the throne. 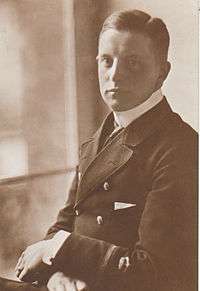 He was the third son of Friedrich Wilhelm, Duke of Schleswig-Holstein-Sonderburg-Glücksburg, whose elder brother (and male-line descendants) retained the Glücksburg dukedom. The heir apparent is Frederik, Crown Prince of Denmark (b. 1968), who belongs agnatically to the Monpezat family. See the present line of succession. 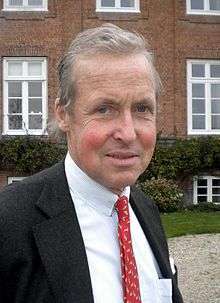 Although there are no more male members of the dynastic line of Glũcksburgs domiciled in Denmark, there are descendants of Christian IX who married without the monarch's permission, thus forfeiting their royal status, who received the Danish noble title "Count of Rosenborg" (and the style of Excellency), heritable by their descendants in the legitimate male line. Thirty-drachma coin of 1963, commemorating the centennial of the reign of the House of Glücksburg. Clockwise from the top: Paul, George II, Alexander, Constantine I and George I. 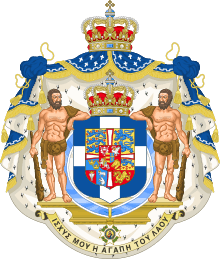 In 1863 and with the name George I, Prince Wilhelm of Denmark became King of the Hellenes. 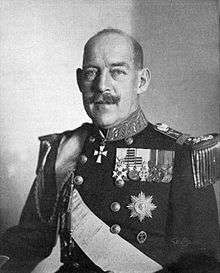 His father was King Christian IX of Denmark. 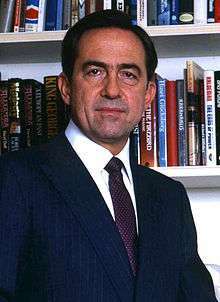 The Hellenic monarchy was abolished in 1973. A referendum on the monarchy took place on December 8, 1974, and 69.18% of the voters decided against the return of the monarchy. In 1905 and with the name Haakon VII, Prince Carl of Denmark became King of Norway. 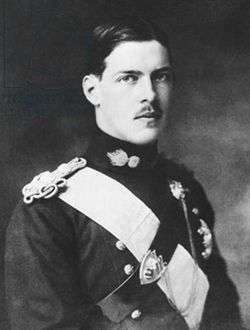 His father was King Frederick VIII of Denmark, and one of his uncles was King George I of Greece. The heir apparent is Crown Prince Haakon of Norway (b. 1973). See the present line of succession. 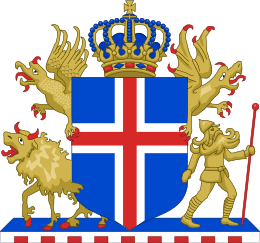 In 1918, Iceland was elevated from an autonomous Danish province to a separate Kingdom of Iceland. 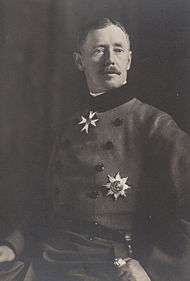 King Christian X of Denmark was henceforth King of Denmark and Iceland. 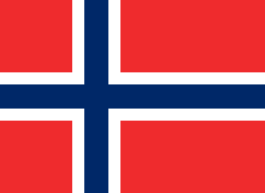 This lasted until 1944, when Iceland dissolved the union between the two countries. 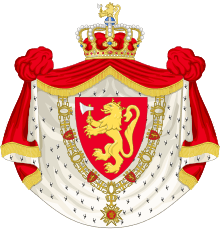 Christian X was the only monarch to hold a distinct Icelandic title, and used the same CX cypher and the same regnal number as in Denmark. 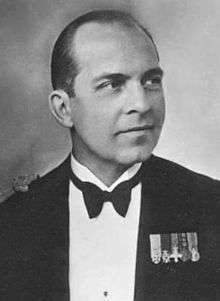 The heir apparent was his son Frederick IX of Denmark (1899–1972). 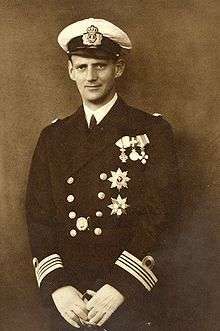 In 1947, Prince Philip of Greece and Denmark (who relinquished his princely titles and adopted the surname Mountbatten upon becoming a British subject prior to his wedding), was created Duke of Edinburgh by his father-in-law, George VI of the United Kingdom. 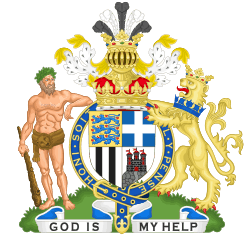 Descendants in the male-line of his marriage to Queen Elizabeth II belong, by decree, to the House of Windsor and use "Windsor-Mountbatten as surname, when one is needed, rather than Glücksburg. The first seventeen places in the line of succession to the British throne are held by the Duke's descendants. ↑ Whilst the letters patent state that the dukedom and two attached peerages are to be inherited by the heirs male of the original duke, i.e. by the current Prince of Wales as Philip's eldest son, it was announced in 1999 that Prince Edward, Earl of Wessex, i.e. a younger brother of the Prince of Wales, would follow their father as Duke of Edinburgh. Pending changes to that effect, the Prince of Wales remains the ducal heir. ↑ "Prince Philip beats the record for longest-serving consort". The Scotsman. Edinburgh. 18 April 2009. Retrieved 6 September 2012. ↑ Gothaisches Genealogisches Handbuch der Fürstlchen Häuser, Band I. Verlag des Deutschen Adelsarchivs. Marburg. 2015. p. 140 (German). ISBN 978-3-9817243-0-1. ↑ Retsinformation.dk. Kongeloven, LOV nr 20001 af 14/11/1665 Gældende (Kongeloven) Offentliggørelsesdato: 28-01-2000 Statsministeriet. 1665. (English translation of the Kongelov). retrieved 25 April 2016.